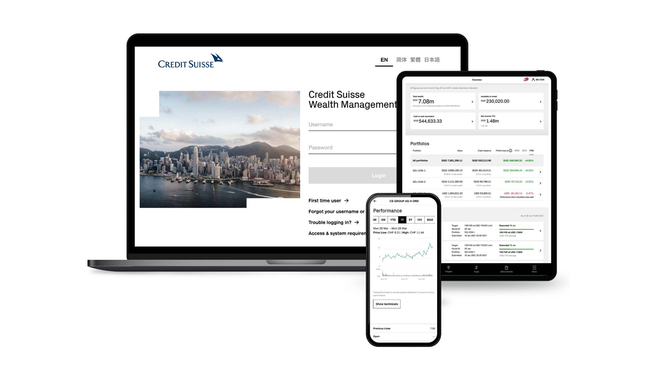 At Credit Suisse, we constantly innovate to serve you with powerful and intuitive digital capabilities which are designed to deliver unparalleled access, security and convenience, empowering you to achieve your financial goals. The app gives you convenient access to your portfolio(s), market news and much more. Our latest digital innovation will let you seamlessly communicate with us via Messages on your iPhone and / or iPad. You can find out more information by contacting our Customer Care Center via email or phone. Alternatively, your Relationship Manager remains available to you. Credit Suisse PB APAC App is compatible with iOS 10 and above. 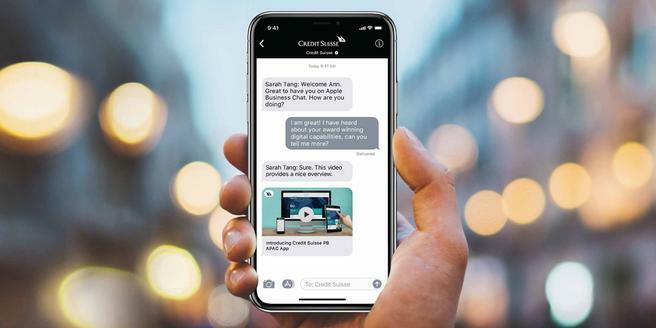 Credit Suisse Chat via Apple Business Chat is compatible with iOS 11.3 and above. iPhone, iPad, Apple Business Chat, Messages and iOS are trademarks of Apple Inc.